Karuizawa in Nagano Prefecture has been seeing an increase in the number of foreign visitors thanks to the ongoing Netflix reality TV show Terrace House: Opening New Doors. We have covered numerous must-visit places that have appeared in the show including tourist spots, cafes and winter spots locations. In this article we have compiled a list of 17 restaurants that make an appearance in the show. TRATTORIA RIPOSO has become talked about as the restaurant where Yuudai did some training in cooking. The meals served there use the best meat and vegetables farmed in Nagano. As well as single menu items like pizza and pasta they also served courses. Pizzas there are made in an authentic pizza oven ordered from Naples in Italy and the pasta is homemade by hand. CERCLE is where Yuudai enquired about a part-time job. They serve French deli and over 250 varieties of wine from France and Italy to be compared and enjoyed. The ingredients are carefully selected by the chefs in the restaurant who go to the production areas. Meals are a mix of French and Italian styles. trattoria il sogno is where Mayu invited the new member of the group Noah for lunch. It’s an Italian style restaurant that offers authentic tasting food. They serve Roman-style pizza carefully made one by one by the pizza chefs in the restaurant’s stone oven. Afterwards you can enjoy desserts such as tiramisu. 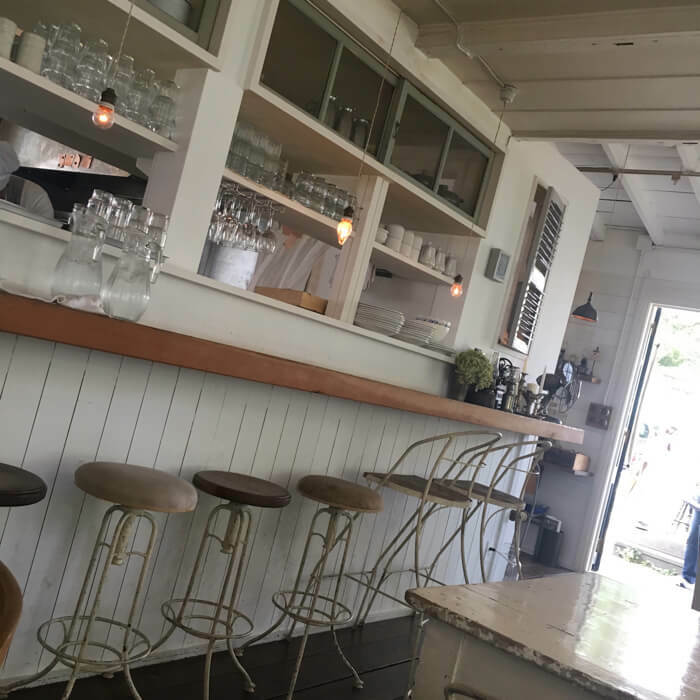 TOMY, where Shohei invites Ami on a a date, is a stylish restaurant and the only one in Karuizawa where you can enjoy live jazz music. The owner uses fresh pesticide-free vegetables picked in the morning that they grown themselves. The owner’s recommended dish is the Tomato Sauce & Tuna Spaghetti. Enjoy delicious food while listening to some chilled-out jazz tunes. The concept behind La Luce, where Shohei and Mayu enjoyed a spot of lunch together, is local production for local consumption. The restaurant serves Italian food made with seasonal vegetables from Nagano and Karuizawa. Their popular organic sorghum soup offers the sweet original flavour of sorghum. One spoonful fills your mouth with the delicious sweetness of nature. Taka and Mayu dined at this Italian restaurant. It’s a place so popular that it has people lining up waiting for a seat. From the giant windows of the restaurant there’s plenty of nature to look at, so much so that it feels like you’re eating inside a forest. They serve hot pizza made on iron plates, authentic tomato based pasta and more. This is where Shohei celebrated Seina’s birthday. The restaurant is especially popular with female customers for its delicious vegetables. The vegetables are carefully chosen by the restaurant’s vegetable sommeliers who visit farms across the whole of Japan. They don’t only use vegetables of course – they have dishes with plenty of other ingredients too all flavourful with the great taste s of Nagano. This restaurant, where Mayu and Yui had lunch together, offers everything from a casual Italian-style lunch to special dishes and even wedding plans. The restaurant also goes by the name “restaurant in the forest” due to it being located right in the middle of a gorgeous forest. It also offers courses based on your budget too making it the perfect place to plan a birthday. Kitchen is an izakaya loved by the locals and where Shohei told Taka about his departure. They have lots of popular Chinese dishes including dandan noodles where you can adjust the spiciness to your liking. The servings are nice and big but the prices are favourable. It’s nice to eat at a stylish restaurant at a villa but it’s also nice to go to a place that locals frequent too. 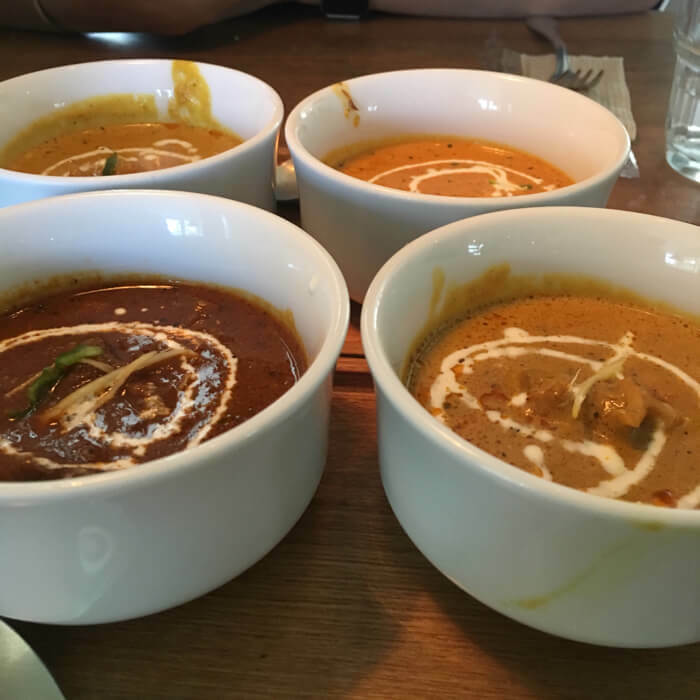 Sajilo Cafe Forest is the curry house where Noah and Seina ate lunch together. Authentic Nepal cooking with lots of spices is served here, made by a chef from Nepal who trained at a high-end hotel in their home country. You can pick from a rotor of curries such as chicken, vegetable and mutton can be enjoyed with chewy naan bread. The outside of the restaurant looks cute with its completely white coat. This izakaya where Taka and Shion went drinking serves food with carefully selected ingredients. They are particular about local production for local consumption. There’s lots to choose from including meat dishes, fried food, a variety of rice bowls and more. One of their popular dishes is the Ganso Karuizawa Sauce Katsudon Enisha Ryu which is served with soft pork cutlets drizzled with Enisha’s secret Nagano apple-based sauce. It goes perfectly with soft boiled egg! This is an oyakodon (chicken and egg rice) restaurant where Ami went with her friend from university. 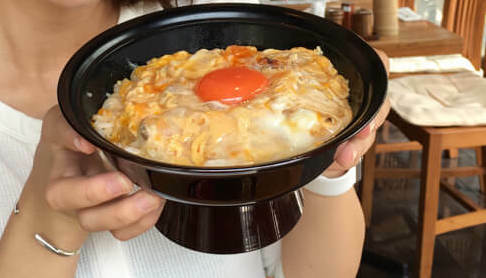 The “Kyukoku no Oyakodon” dish is made with a breed of chicken from Nagano which is cooked with charcoal. Added to that is bonito and mackerel amongst other ingredients as well as an original stock and lots of egg. It’s best eaten together with their homemade seasoning! Three members of the show cast go to eat here. During the day they serve a range of meals with tofu as the main ingredient, and at night it becomes a popular izakaya where you can enjoy local sake. All of the tofu used is from beans in Karuizawa and Nagano none of which have been genetically modified. The water used in making the tofu is from Karuizawa and the nigari is from the natural seawater in Sado. It’s an izakaya serving the kind of food you can only get in Karuizawa which is also healthy and delicious. This restaurant is managed by Tsubasa’s father where you can enjoy delicate and eye-catching Japanese-style food for a reasonable price. Their noodles are made by hand from soba flour produced in Karuizawa and are popular with both the locals and foreign tourist. Their menu is also available in English and Chinese. This is an izakaya where Tsubasa ate with his hockey friends. They serve a range of à la carte as well as lots of seasonal menus. Their exquisite beef tendons go together well with sake. Try eating your meal with one of the many types of sake they have in stock. This yakitori restaurant where Taka worked a part-time job is famous for its chicken thighs and has been around since 1960. It’s one of Karuizawa’s most iconic locations where you can enjoy eating tender fried chicken served with high quality seasoning. The secret sauce that coats the chicken is a flavour you will never forget! Aya and Taka ate lunch together at this soba noodle restaurant. There’s a line that runs down the middle of the restaurant that sits between Nagano Prefecture and Gunma Prefecture, meaning you can walk between the two completely different places in Japan. The restaurant is also close to Kumano Shrine, a famous tourist spot, so you can stop by for food once you’ve paid a visit! Each and every restaurant in this list is a much-talked about place! Which do you want to visit the most?